Wareham takes game one of the best 2 out of 3 Championship series with a 5 - 3 win over visiting Chatham. The series continues tomorrow at 7pm in Chatham. 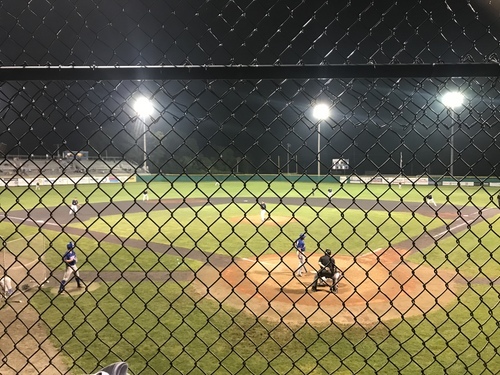 Wareham took game one of the championship series on Saturday night with a 5-3 win over the Chatham Anglers. The game was locked at 0-0 until the bottom of the fifth when the Gatemen put up three runs courtesy of Austin Shenton’s bases clearing double. Chatham made their way onto the board in the seventh inning with a Spencer Torkelson solo homer. The Gatemen responded in the bottom of the inning with an RBI triple from Jakob Goldfarb and a sacrifice fly from Jeremy Ydens. Down 5-1 heading into the ninth, Chatham rallied for a few runs that came on a Tristin English two-run blast. The rally was cut short, and the Gatemen are now one game away from taking the 2018 CCBL title.